5240, Used Rims, 20X8-1/2, 6 LUG, 5-1/2", '05-'07, CHEVY, GMC, CHROME, 6 DOUBLE SPOKES, ALLOY. 5240, Used Rims, 20X8-1/2, 6 LUG, 5-1/2", '05-'07, CHEVY, GMC, AVALANCHE, TAHOE, SUBURBAN, ESCALADE, ESCALADE ESV, ESCALADE EXT, SIERRA 1500, SIERRA DENALI, SILVERADO 1500, SUBURBAN 1500, TAHOE, YUKON, YUKON XL, CHROME, 6 DOUBLE SPOKES, ALLOY. 5240c, CENTER CAP USED, '05-'07, ESCALADE, ESCALADE ESV, ESCALADE EXT, CHROME, RAISED LEAF LOGO, PLASTIC CLIPS & WIRE RING, 3-1/4" DIA. 56506, Hubcaps used, 13", 81-82, MAZDA, GLC, SILVER, CHROME RING ON OUTER EDGE, 6 DOUBLE SPOKE, ENGRAVED BLACK WORD MAZDA, ON ONE SIDE OF CENTER, 6 METAL CLIPS. 6038, Used Rims,16X6-1/2, 5 LUG, 00-02, OLDS, INTRIGUE, SPARKLE SILVER,12 SPOKE ALUM. 6 STRAIGHT & 6 DOUBLE SPOKES. 60540, HUBCAP USED 16", 08-09, SUBARU, FORESTER, PAINTED SPARKLE SILVER, 6 DOUBLE SPOKE, 12 SPOKE. RAISED CENTER WITH RAISED LOGO, 12 PLASTIC CLIPS & WIRE RING. 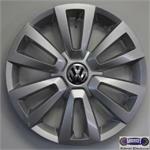 61591, 16" USED HUBCAP, '11-'13, VW, BEETLE, SPARKLE SILVER, 6 DOUBLE SPOKES, VW LOGO, 7 SETS OF PLASTIC CLIPS & WIRE RING. 61591,16" USED HUBCAP, '11-'13, VW, BEETLE, SPARKLE SILVER, 6 DOUBLE SPOKES, WITH VW LOGO IN CENTER, 7 SETS OF PLASTIC CLIPS & WIRE RING. 69471a, Used Rims, 17X7, 5 LUG, 4", '05-'07, SCION, TC, LIGHT HYPER SILVER, 6 DOUBLE SPOKE, ALLOY. 70262a, USED RIM, 18X7, 5 LUG, 108MM, 07-09, VOLVO, XC90, CHROME ALUM, 6 DOUBLE SPOKE, A= REG CHROME A-1=BLACK CHROME A-2=POLISHED B=SILVER PAINTED B-=POLISHED. 70262b, USED RIM, 18X7, 5 LUG, 108MM, 03-09, VOLVO, XC90, 6 DOUBLE SPOKE, SILVER PAINTED, ALLOY.